Chóngqìng will take you on an unforgettable journey through peculiar grottoes and breathtaking gorges, to porcelain villages that have outlived the Ming Dynasty and the heaving central metropolis. Home to an urban population of over 18 million, Chóngqìng is one of China’s emerging megacities. 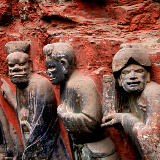 Attractions include the Dazu Rock Carvings, Chóngqìng Amusement Park and Fengdu Ghost City. Lose yourself in a whirlwind of contemporary urban swag and the ancient allure of the Ba Kingdom with cheap flights to Chóngqìng. Chóngqìng is home to Chongqing Jiangbei International Airport (CKG), which is a 35-minute drive to the city centre. Chóngqìng is a culinary paradise. 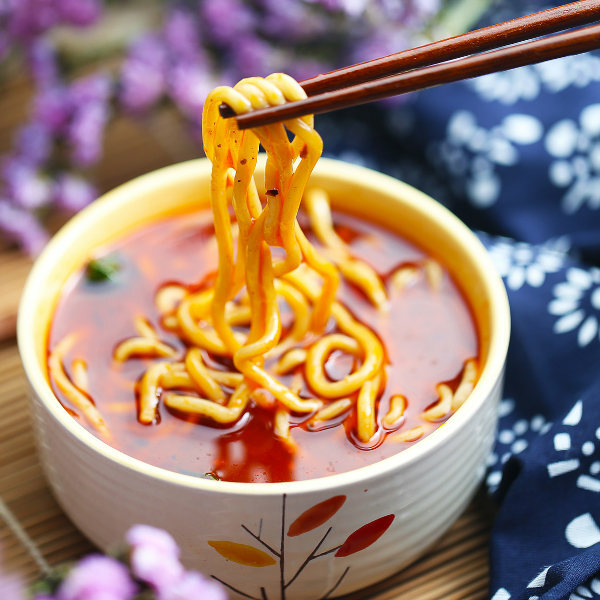 Delve into a world of weird and wonderful ingredients and flavours with specialties such as the trademark Chóngqìng hotpot, mayuan, liang mian and chao shou. 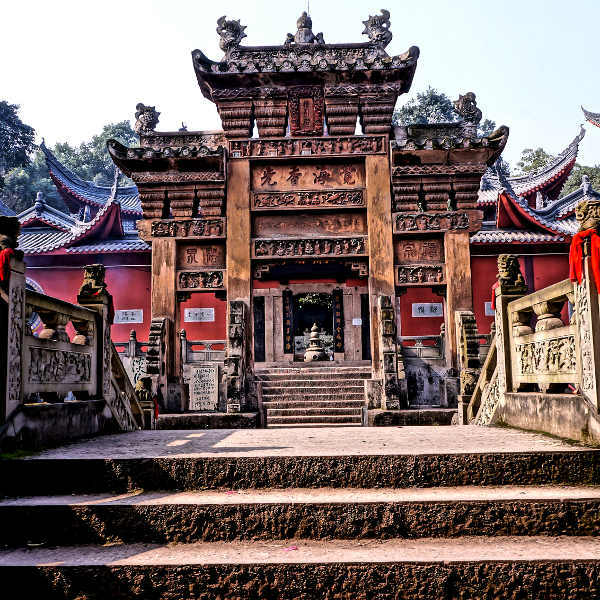 With a history that spans millennia and powerful dynasties, traces of ancient times can be found in the architecture of Tushan Temple and along the streets of Ciqikou Ancient Town. 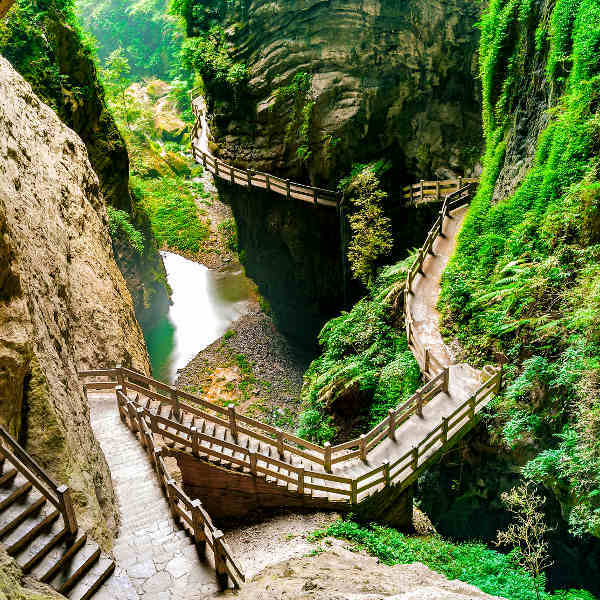 Wander along natural bridges and shimmering underground streams between the gargantuan gorges and caves of Wulong Karst. Or experience absolute tranquillity amongst bamboo groves and bonsai gardens in Eling Park. Chóngqìng experiences a subtropical monsoon climate. Chóngqìng earned its status as one of the ‘Three Furnaces’ because of sweltering weather that grips the city in summer (mid-May to September). Humidity is stifling and temperatures can reach highs of 42 degrees Celsius, while rainfall frequently soaks the city streets. Winter (December to February) is mild, with temperatures reaching highs of 11 degrees Celsius and lows of 6 degrees Celsius. Occasional flurries of snow descend during winter. Autumn (October to November) in Chóngqìng is pleasant and cool, with average highs of 22 degrees Celsius and average lows of 16 degrees Celsius. The autumn months experience moderate rainfall. Spring (March to May) is considered the best time to visit Chóngqìng. The city becomes a colourful quilt of magnolia, plum, cherry, peach and begonia blossoms, while temperatures reach average highs of 22 degrees Celsius and average lows of 15 degrees Celsius. The city of Chóngqìng is a unique Chinese metropolis. Bustling streets fuse contemporary urban façades and gleaming futuristic skyscrapers together with traditional hillside villages and sacred temples. Chóngqìng has outlived the Zhou, Song, Ming and Qing dynasties. 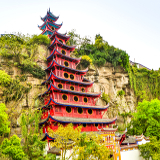 Ancient history, alluring art, scintillating cultures, delectable culinary experiences and beautiful natural landscapes coalesce on the banks of the Yangtze River. Journey to the city in spring and delight in the bright pink hues of cherry blossoms, or slip into steaming Ronghui hot springs for a little relaxation. Visit Fengdu Ghost City and the iconic Dazu Rock carvings for a taste of ancient history, or witness the city blaze to life with lanterns during the Lantern Festival in March. Experience the trademark razzle-dazzle of China without the frenetic hustle and bustle of other major Asian cities. Chóngqìng is a seamless fusion of history, culture and cuisine. Compare several airlines, and book your cheap flights to Chóngqìng online at Travelstart! Chóngqìng is relatively safe. However, crime happens everywhere. There are a number of precautions that apply when travelling to an unfamiliar place. Travel insurance to cover theft and medical expenses is highly recommended. Avoid public demonstrations and political rallies. Leave any important documents or valuable items in the hotel safe. Keep a photocopy of your passport or identification on you. Be vigilant of pickpockets at bus and train stations and other crowded areas. Children are often supervised by nearby adults. Women should exercise caution when travelling alone. Always make sure you are accompanied when venturing out at night. 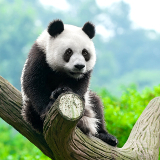 China is affected by natural disasters such as flooding, earthquakes and typhoons. Remain up-to-date by following news reports and emergency channels. Proof of yellow fever vaccination is required if you are travelling from a yellow fever endemic area. Other routine and recommended vaccinations include hepatitis A & B, typhoid, tetanus, diphtheria, polio, rabies, malaria, tuberculosis and Japanese Encephalitis. Situated in the heart of Chóngqìng, and surrounded by the Yangtze River, Yuzhong District is the business and entertainment hub of the city. Lofty skyscrapers and bustling streets are distinct features of this area. Accommodation ranges from glittering boutique hotels to homey inns. Nan'an District, situated on the south-east side of the Yangtze River, is a vast sprawl of natural attractions, historical monuments, mega malls and entertainment complexes. It is the vibrant cultural hub of Chóngqìng. Accommodation ranges from palatial hotels, contemporary apartments, trendy art hotels and budget inns. Chóngqìng is an enormous metropolis with several transportation options: bus, subway, taxi and cable car. Buses are regular and easy to use. A labyrinth of routes criss-cross the city, while bus stations are located in numerous parts of the city. Cards can be purchased at bus stations, subway stations and Transportation Card Company offices. Although the subway is restricted to one line, it is the best way to get around Chóngqìng. It is clean, reliable, and inexpensive. It serves over 18 stations around the city. Tickets can be purchased from tellers at the station or via a ‘vending machine’. Taxis in Chóngqìng are abundant and reliable. However, while you may not have any problem finding one, you may find yourself paying significantly more for a trip and subject to the nightmarish congestion that plagues the streets of Chóngqìng. Be prepared to haggle with drivers.